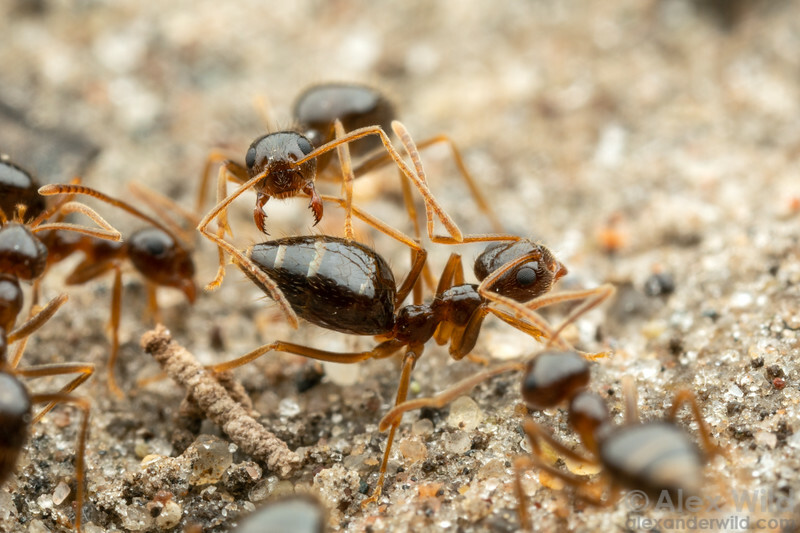 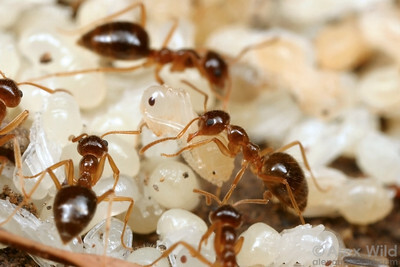 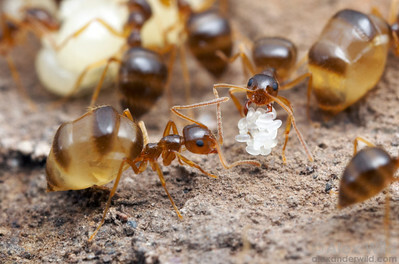 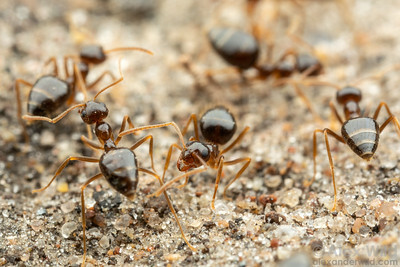 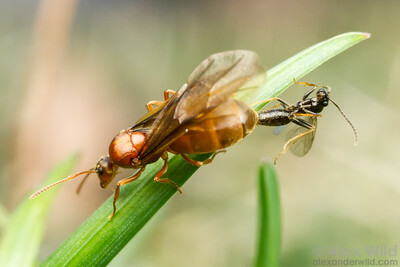 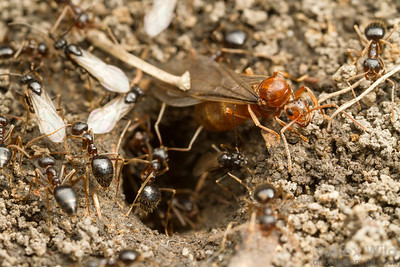 Workers from neighboring Prenolepis winter ant colonies test each others' defenses in a tense but non-lethal confrontation. 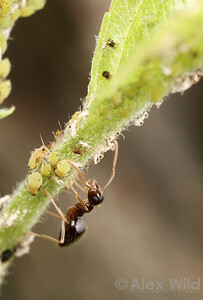 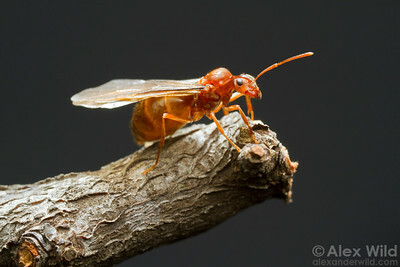 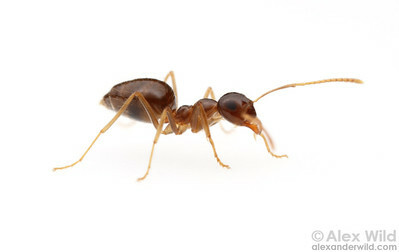 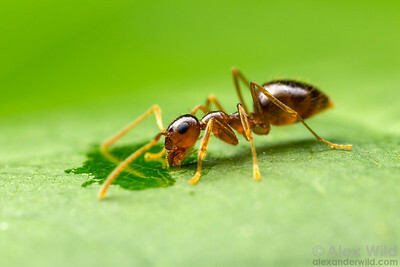 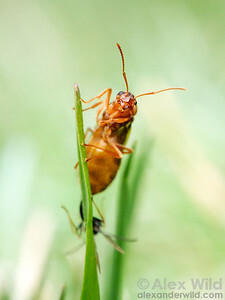 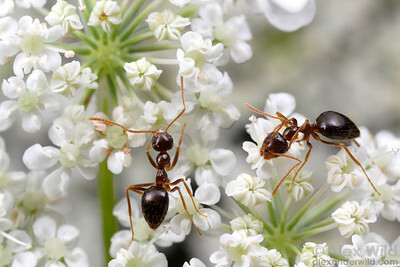 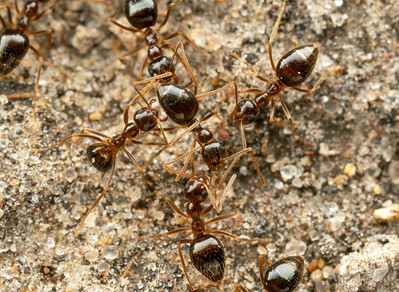 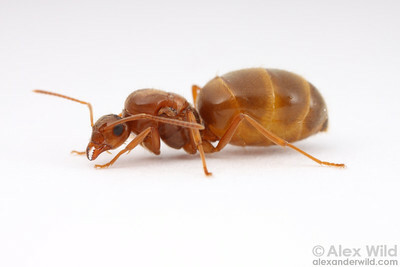 The ants assess the size and number of their opponents, sometimes lunging or lightly biting but holding back from untethered aggression. 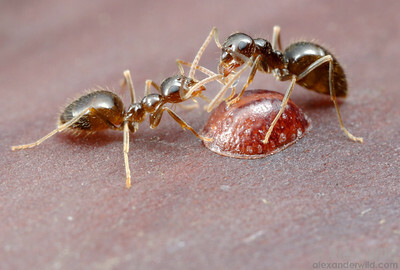 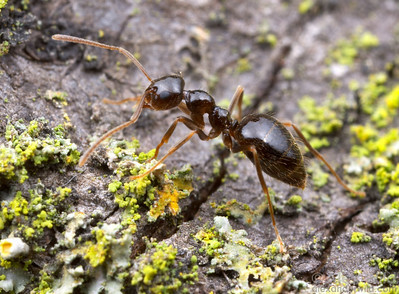 It is thought these ritualistic battles help ants adjust territorial boundaries while avoiding loss of life.